My first experience in ACL (Austin City Limits) music festival was amazing and i cannot wait till i go to it next year as well. First thing i noticed entering the park was this huge solar panel displayed inside the park. Glad to see that ACL was doing its part for green energy. 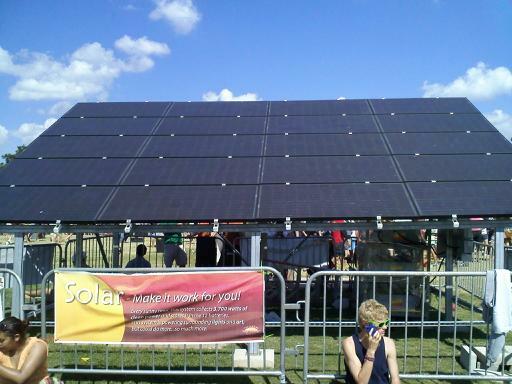 The display was to advertise Texas Solar Power company in Austin. They are installers of solar panels in and around Austin, Houston, and couple of other states. It was set up with an inverter and a huge battery pack to show that all that energy can be stored and reused during night. They were actually powering some of the medical equipments and some lights at night. Just wanted to share this with everyone.